Just three days ago, the Ministry of Manpower (MOM) released a statement that from 1 January 2017, the qualifying salary for Employment Pass (EP) applications will be raised by $300, from $3,300 to $3,600. This is in a bid to keep pace with rising local wages and maintain the quality of our foreign workers, since they would now be more expensive to hire. More than that, the increase also seems to be a further push by MOM to assure Singaporean workers that they are not at a losing end. The sentiments towards foreigners working and living in Singapore are mostly negative both online and off, with many locals complaining about how they are taking away our jobs, or bringing unacceptable habits over to our shores. These feelings have been spurred on by companies which have a “highly undesirable” concentration of EP holders, especially in certain segments of industries and locations. In April, Manpower Minister Lim Swee Say has aimed to address the issue by announcing that the application process for EPs has been refined with additional criteria. On top of that, the Tripartite Alliance for Fair and Progressive Employment Practices (TAFEP), had also served notice on 100 companies which had more than 50% of their employees being EP holders. However, comments on the news by Singaporeans still reflect that the move is not enough. The Facebook pages local news sites which broke the news were flooded with comments by Singaporeans who believed that the $300 raise was not enough to curb the problem, and employers could still find a way around the rules. Some even revealed the ways that employers are flouting the rules – by over-declaring the salaries of their foreign workers just so that they’re technically in the clear according to MOM guidelines. Another Facebook commenter also suggested that instead of using salary as a guideline, the issuing of Employment Passes should be determined by the skill set that the applicant has. In light of the overwhelming negative response that the news brought about, Gov.sg released a statement that reiterated the goals of the raise, emphasising that it does not translate to higher salaries for foreigners, which was the concern of many Singaporean netizens. The statement also emphasised MOM’s strict adherence to the clamping down of employed who flout the guidelines. Several reports on the cracking down of said employers were also linked as proof that false declarations are serious business to MOM. According to the responses to the statement, it does seem like Singaporeans are still not convinced that the move is enough to alleviate any existing problems. 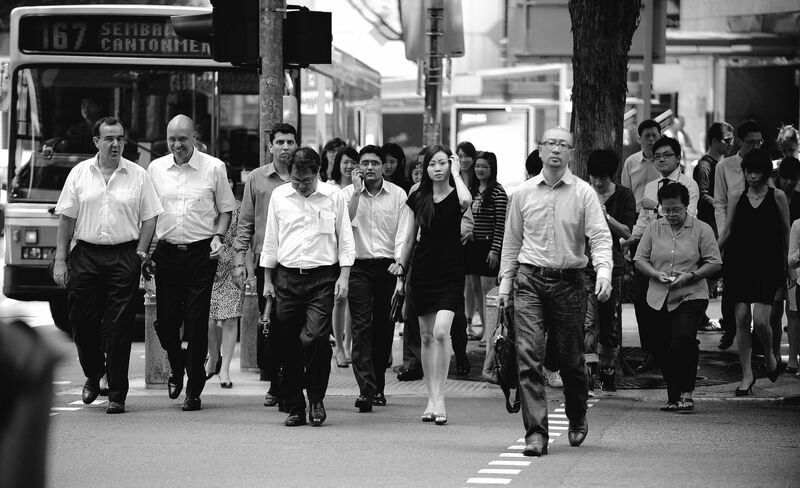 As compared to making it harder for employers to hire foreigners, a commenter also suggested that the change should come from educating Singaporeans to be ready for the changes in industry needs, so that companies would not need to keep relying on foreign labour to fill gaps. Definitely a sound suggestion, but only if the lack of qualified Singaporeans is the main issue at hand. With the recent report of a rise in unemployment and layoffs in the 2nd quarter of 2016, it is no surprise that Singaporeans want even more assurance that their job opportunities would not be taken from them. With the bleak outlook of the employment market, it is not wonder that Singaporeans want more to be done to help them get and retain jobs. Whether or not the $300 raise will work out can only be seen at the start of next year when it is implemented, but keeping a lookout for fraudulent declarations should, and can definitely be stepped up on, by both employees and MOM.